In today’s world, we are surrounded by data. It’s flying through the air all around us over radio signals, wireless internet, mobile networks and more. We’re so immersed in data every day that we rarely stop to think about what the data means and why it is there. I, for one, rarely have a quiet moment where I am not directly, or indirectly, absorbing a flow of information, regardless of whether I want to or not. So, I wonder, are we going to master this all-encompassing data, or be mastered by it? Data has become the lifeblood of the modern business, and those who succeed in today’s competitive landscape are those who leverage data the best. Amazing applications exist that take the raw data flowing out of the exhaust pipe of the modern economy (and our lives) and enable companies to develop products we couldn’t have even conceived of a few years ago. Artificial intelligence-driven innovations are anticipating our next move. Social media products are connecting us and targeting us. Self-driving cars are swimming in data to navigate a world full of faulty humans. But, how often do we stop to talk about the good, the bad and the ugly of data? [epq-quote align="align-right"]"A single conversation across the table with a wise man is better than ten years mere study of books." - Henry Wadsworth Longfellow [/epq-quote] The discussions now about data privacy and the nonstop stream of hackers stealing our personal information, are actually elevating data from a sub-theme of our culture into a primary topic, even for non-experts. The value of data is also rising into the awareness of boardrooms, and this is a good thing. The only way to keep ourselves honest about how we use data is to talk about how we use data — the wonderful and the despicable, the innovative and the regressive. 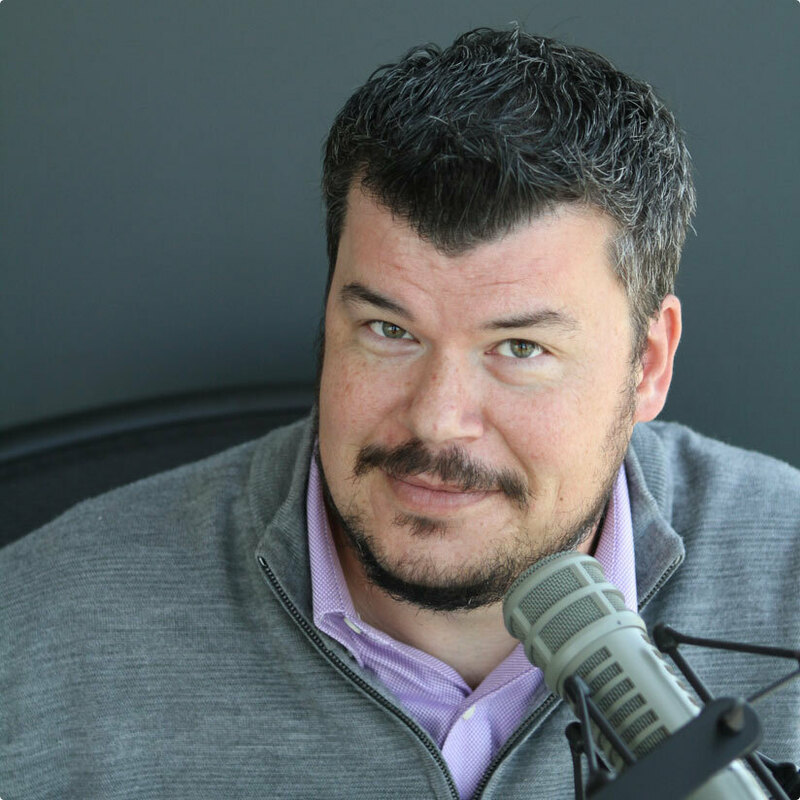 [epq-quote align="align-left"]The only way to keep ourselves honest about how we use data is to talk about how we use data — the wonderful and the despicable, the innovative and the regressive" - Ben Newton, director of product marketing, Sumo Logic[/epq-quote] As a long-time podcast listener and fan of the spoken word, I am excited to announce a new podcast about this data revolution — Masters of Data. Each episode we interview innovators, big thinkers and provocateurs, to learn theirs views about data. We also want to meet the people behind the data, who can humanize the data by helping us understand the cultural content and intention of the data on human experience. That way we turn this from stories about widgets and gimmicks into stories about humans and the value of data, as well as the dangers of misusing it. 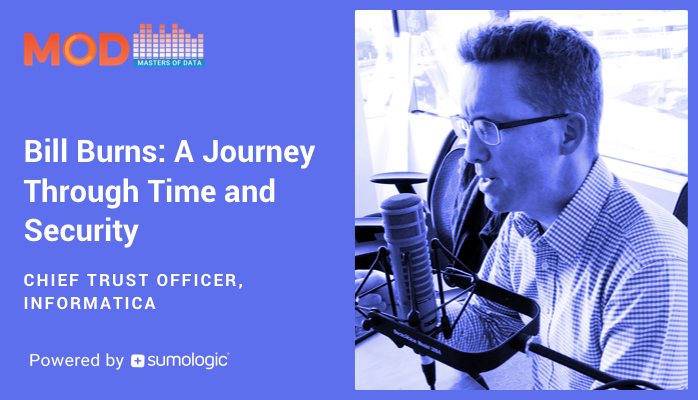 Our first podcast is now live and features Bill Burns, the chief trust officer at Informatica. Bill and I take a journey through time and security and discuss the evolving tech landscape over the last 20 years. We talk about how he got started in a computer lab, cut his teeth at Netscape, helped change the world at Netflix, and is on his next journey at Informatica. To listen visit www.mastersofdata.com or subscribe via the iTunes or Google Play app stores. Once you’ve subscribed on your favorite platform, be sure to check back for new episodes and leave us a review to let us know what you think! We will be releasing several discussions over the next few months, and we look forward your feedback! Until then, listen and enjoy.